Fiat Linea is the perfect combination of dynamic styling and powerful performance. The midsize sedan is much talked about in the international automobile industry and promises to stand up to the expectations of buyers in India. 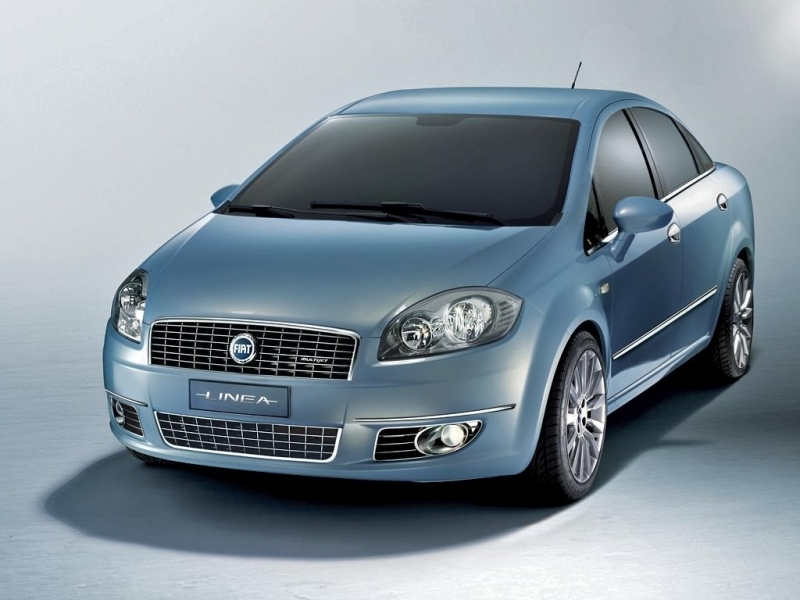 Based on Fiat’s Grande Punto, Linea is an outstanding example of Italian design. It offers the customers a unique blend of luxury and comfort, with arresting looks and a powerful engine. Fiat Linea is available in three variants as 1.4 L 8v, 1.4L 16v T-Jet and 1.3 Multijet 16v. The offered colour options for the sedan are Cool Jazz Blue, Tecno Grey, Flamenco Red, Lullaby Blue, Fox-Trot Azure, Minimal Grey, Rockabilly Black, Breakdance Green, Ambient White and Indie Ivory. Fiat Linea comes with three engine options – 1.4L FIRE and 1.4L 16 V T-Jet and 1.3L 16v Multijet. Fiat Linea is powered by a 1368cc 16 valve T-JET petrol engine which generates an impressive 114 PS of maximum power at 5000rpm and 207 Nm of torque at 2200 rpm. The power seems ample for a car of this size. It has been mated to a 5-speed manual gearbox. When you start the engine there is a little engine idle noise but when you are on the move the engine is behaving pretty smoothly. The engine is not only powerful and can reach an impressive top speed of above 180 kilometres but it is also fuel efficient and returns an impressive fuel economy of 15.7 km to a litre. As of ride quality, The sedan promises to offer superior handling and drive easiness. The shock absorbers assure enhanced travel comfort, by absorbing impact from the unevenness of bumpy Indian roads. It is fun to drive Linea, mainly because the steering wheel is very responsive. But the Linea T Jet is a good handling car but the high ground clearance is somehow affecting the handling a bit. As of Safety, Fiat Linea is fully loaded with active and passive safety features. The active features, providing safety to the occupants, include Antilock Braking System (ABS) with Electronic Brake force Distribution (EBD). Adding to the protection of passengers are the passive safety features of Linea, such as side and roof air bags, air bags for the driver and co-driver, front racked seat belts and Fire Protection System (FPS) and 3-Point ELR Seatbelts with Pre-tensioners & Load Limiter. The interiors of Fiat Linea are as attractive as its exteriors. The cabin of the sedan is roomy, which offers its driver and passengers a comfortable environment. Top quality materials are used in its finely-toned interiors. A trendy instrument cluster is neatly integrated into the well-organized dashboard. Rear seats have headrests, for added comfort of its occupants. Coming to the seats they are quite comfortable and provides good lumbar support. There is absolutely no complain about the amount of space provided inside the cabin of Linea. The design team of ‘Fiat Style’ centre has carved out this sedan to suit the specific needs of Indian buyers. The car sports smooth flowing body line. Its fascia is adorned by large projector type headlights, muscular front grille and clear lens fog lamps. The rear side of Linea is dominated by a simple, yet attractive boot and sparkling tail lamps. The five-seater luxury sedan offers a high level of comfort to its occupants. Overall the Fiat Linea looks attractive and premium and Fiat also has used a lot of chrome all over its exterior like on the front grille, front bumper’s corner protectors, side mouldings, door handles and lastly even on its exhaust tip. The Linea T Jet is overall a good sedan which was affordable for the customers who wish to buy under 10 Lakhs and is available in three trim levels Active, Dynamic and Emotion. It has a powerful engine, stylish exterior along with a comfortable and spacious interior. Finally, the complete makeover of this vehicle makes the rivals to think twice to launch a new sedan during its innings.